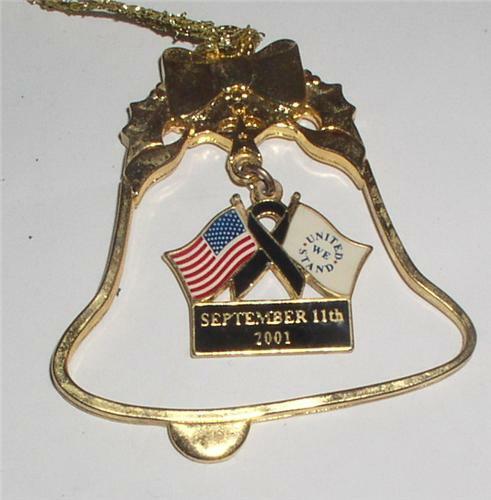 9/11 Patriotic United We Stand an ornament dedicated to our heroes of September 11th 2001 Ornament. Mint Condition. Approximate size is: 2 inches in diameter.